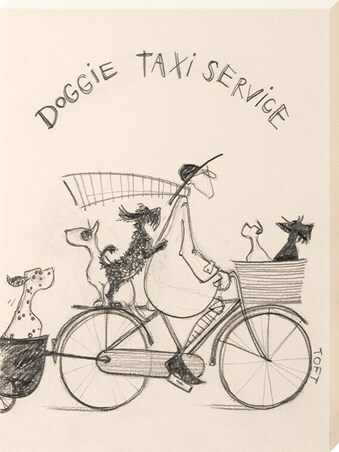 All aboard the 'Doggie Taxi Service'! 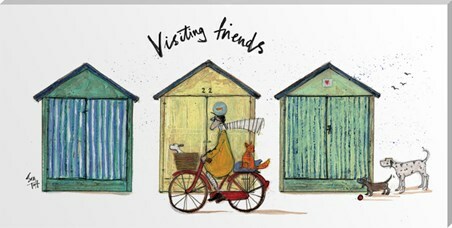 Mr Mustard takes his trusty friend Doris along for a ride with fellow dog companions Precious and Hattie. Where could they possibly be heading? 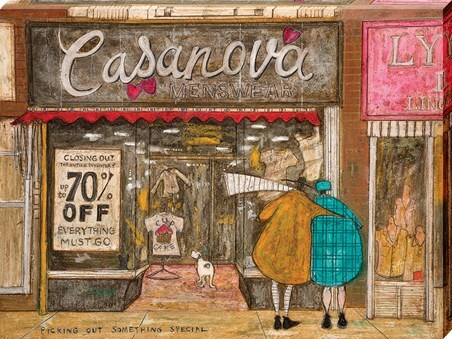 To the park, for an afternoon cuppa? 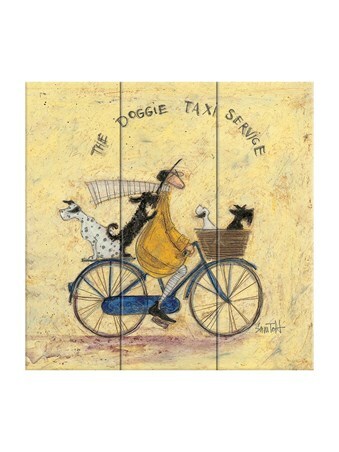 Or maybe a day at the doggie parlour. Wherever they are headed to, Mr Mustard is a man who knows all the fastest routes and shortcuts. 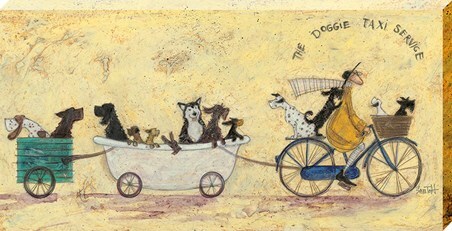 For all lovers of the incredibly talented artist Sam Toft, this charming wooden print is a fabulous way to bring a bit of humour into your doggie loving home. 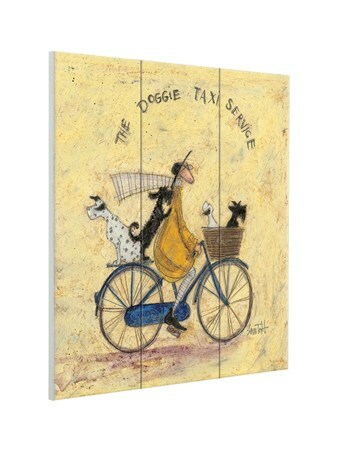 High quality, framed The Doggie Taxi Service, Sam Toft wooden wall art with a bespoke frame by our custom framing service.